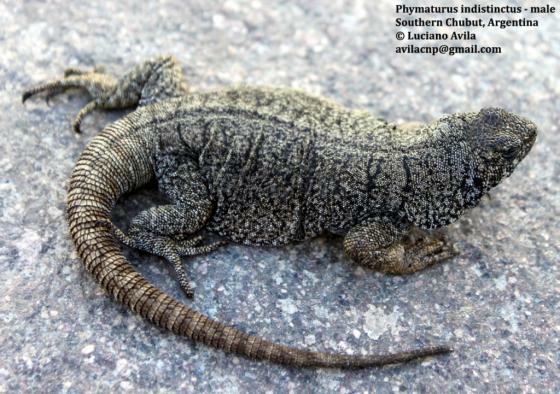 Can you confirm these amateur observations of Phymaturus indistinctus? This species belongs to the patagonicus group (fide LOBO et al. 2010) or the indistinctus group (MORANDO et al. 2013). Distribution: for a map of the indistinctus group see MORANDO et al. 2013. Not listed for Argentina by Avila et al. 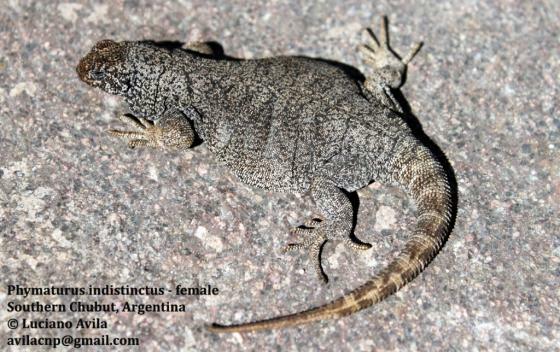 2013, Zootaxa 3616 (3): 201–238 (although the latter lists patagonicus).